Like most authors, I’m a life-long book worm, but my interests are also quite diverse; ranging from freshwater fishing to cooking to gardening. In addition to being a dedicated historian, one of my passions is teaching college-level United States history. Moreover, I enjoyed my collegiate experiences while completing my various degree programs, particularly my Master of Liberal Studies from the University of Oklahoma where my studies focused on early American history and political science coupled with motivational theory. Earlier this month, I participated in the Oklahoma-hosted Red Dirt Book Conference to meet readers and raise funds toward building storm shelters in Oklahoma schools to help protect our children. I’m looking forward to presenting two sessions and meeting with prospective authors at the upcoming Short Writing Conference on the Rose State College campus in Midwest City, Oklahoma later this month. Details are available on my website. I began my creative writing endeavors when I was in elementary school, but my passion for writing continued throughout my college years. It wasn’t until after finishing my graduate program that I seriously considered writing novel-length works. I have considered myself a writer since childhood. If you write – no matter the age – you’re a writer. 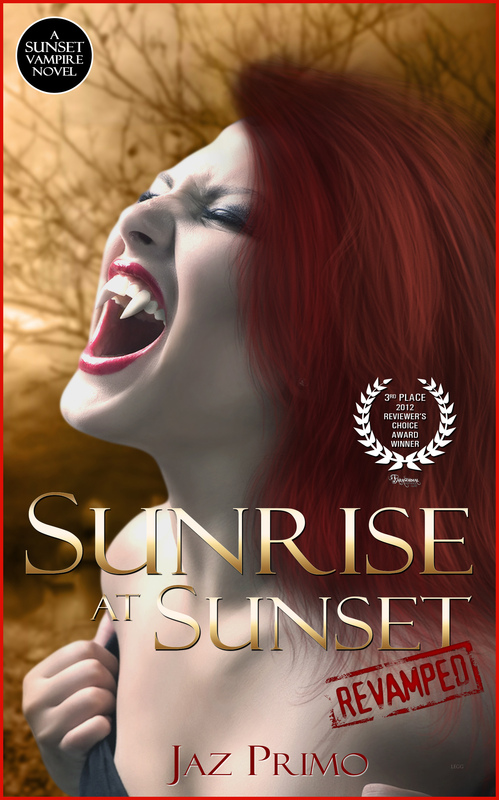 My debut novel, Sunrise at Sunset, was a vampire romance novel. The central characters – the vampire Katrina and her human mate Caleb – were so tangible and vivid in my imagination that they demanded to be brought into the world at large, so I felt compelled to write their story. I’m so happy that I did, and their story continues into my upcoming fifth Sunset Vampire novel, Sunset Rising. I don’t have a specific writing style that I’m consciously aware of, though I suspect my readers could do a much better job of classifying me. I do value strong character development and emotional relationship storylines. I always try to write in a manner that everything I’m writing seems quite plausible, even if the content or circumstances are fictional. Believability is the key to writing good fiction; it doesn’t have to be real, it just has to sound as if it could plausibly be. I believe that, like many authors, my own life experiences shape and influence the creativity of my stories and characters, though I don’t try to directly base my writing on actual life experiences of myself or anyone I know. I was strongly influenced by fantasy and science fiction throughout my formative years, but it was probably the writings of both Katherine Kurtz and Anne Rice that most appealed to my appreciation for emotionally charged character development for me. The fantasy authors Katherine Kurtz and L.E. Modesitt are the most influential to me, though I give a respectful and appreciative nod to the amazing Anne Rice. I’m alternating reading two novels at the moment. 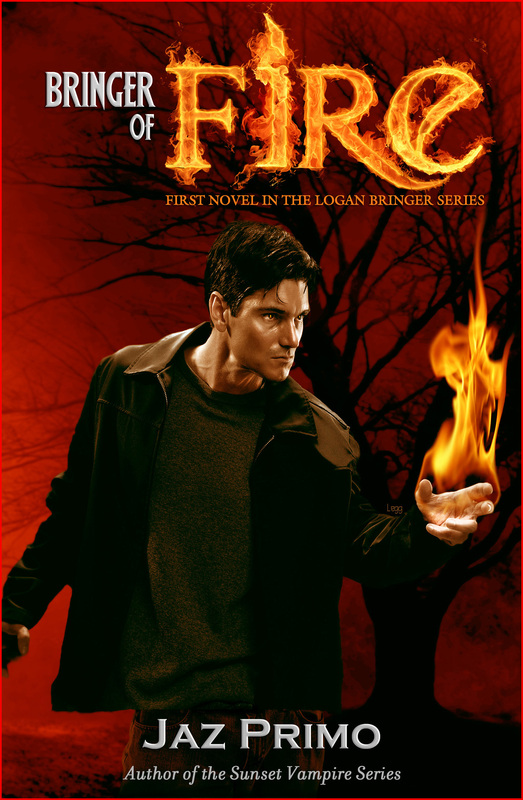 First, Legacies (the Corean Chronicles, book #1) by L.E. Modesitt and Childhood’s End (Shine Book #1) by William Bernhardt. I’ve recently been intrigued by the writings of Tarryn Fisher, who I met at the Red Dirt Book Conference in early September. I’m actively writing my fifth Sunset Vampire paranormal romance novel, Sunset Rising, and my second Logan Bringer urban fantasy novel, Bringer Unleashed. Oh, my close friends, for certain. I’m actively pursuing writing as a career, though only a part-time one at the moment. I’d like to someday have the opportunity to make a living as a full-time author. My writing originated from my childhood. There were creative ideas that I felt I had to write down, even if only for myself. I’d prefer not to right now because both of the novels I’m working on are still in the rough draft stages. I rarely release rough draft material before my editor and copy editor have an opportunity to review the material first. I find editing to be one of the most challenging parts of the writing process. It’s difficult sometimes to review your work with a critical eye, which is why having excellent relationships with a professional editor, experienced copy editor, and series of beta readers is of paramount importance to ensure that your novels are professional, error-free, and ready for presentation to readers. One of my favorite authors is L.E. Modesitt, who writes fantasy novels. I love his method of character development; it’s so very realistic and yet carries a heroic arc that compels readers to root for them. I don’t travel very much because I’m limited by my day-job, which keeps me very busy throughout the year. Still, I try to attend at least two book conferences/events annually. I hope to travel more frequently in the future, however. Depending upon which novel we’re discussing, my covers were done by either Albert Slark (a veteran Harlequin Romance cover artist) or Sharon Legg (a talented cover artist with many years in the industry). I’ve been very fortunate; both Al and Sharon are highly gifted professionals, so my covers compete very well in the marketplace. The hardest part of writing any novel for me is making adequate time to write my stories. For now, I must work a full-time career to pay the bills, so spare time is often at a premium for me. I learn something new from every novel that I write. The lessons and insights vary. My advice to other writers, and specifically to new writers, is to write stories that YOU want to read. Don’t try to chase the hot trends in the marketplace; by the time you finish writing a trendy novel and it’s gone through editing and a release schedule, the trend will have changed already. Also, don’t listen to the “haters” out there, whether they be readers, critics, or negative authors. Remember that you’re writing is an art form, and all art is subjective. Unless you’re blatantly releasing unedited material out into the world – which is a mortal sin among self-published authors – your writing is never going to appeal to everyone. It’s art…its value or appreciation is strictly based upon the eyes of the beholder reading it at the time. Yes, I want to thank my readers for being so supportive and patient. I know they would like for me to write much faster than I do, but I appreciate how kindly they understand my challenges. I truly love my readers! Hmm. Actually, no, I don’t; although that’s a great question. I’ve never been asked that before. I do remember one of the early books that I enjoyed was the Golden Book of Dinosaurs. Yes, definitely. Of course, I love to read. 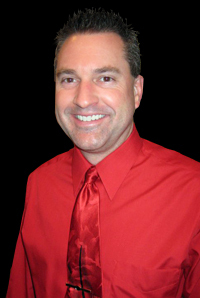 I enjoy freshwater fishing, cooking, and gardening, as well as film-watching. Currently, my favorite television shows include Doctor Who, Game of Thrones, The Walking Dead, Boardwalk Empire, Masterchef, Hell’s Kitchen, Dominion, and Deadliest Catch. I’m also fan of the Pawn Stars program. My favorite music is alternative rock, though I have eclectic tastes in music and listen to a variety of genres. 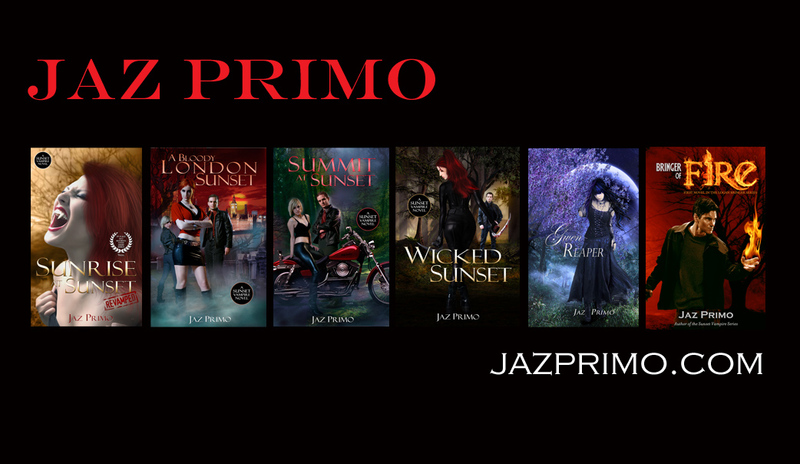 My website at http://jazprimo.com also hosts my blog. You can also find descriptions to my novels, as well as purchase links. Please be sure to sign up for my newsletter on my website, as well. Thank you so very much for the opportunity to appear on your blog, Fiona. It has been a lot of fun and a sincere pleasure! Below are some other social media links for me. Below is a listing of all my novels that have been published to date, or are pending future publication. 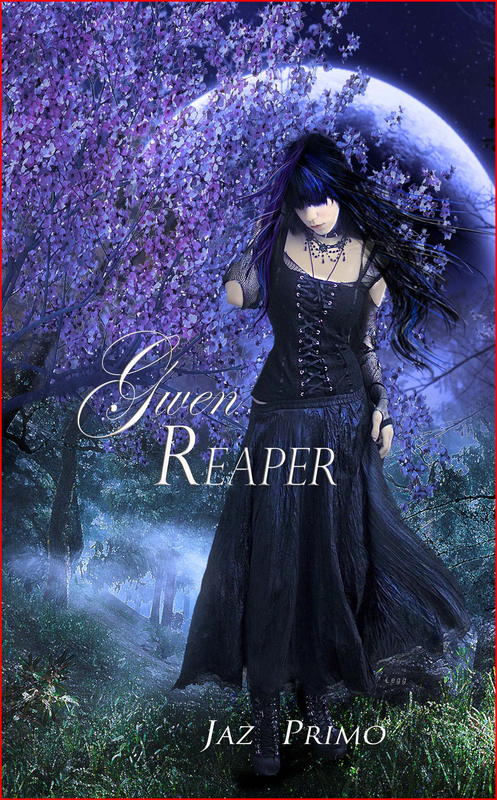 Awarded Third Place in the Reviewer’s Choice Award for Best Paranormal Series of 2012 by the Paranormal Romance Guild.